Hurry over to Lowe's where you can save 75% on Holiday Decor! Choose in-store pick up to save on shipping or get free shipping with purchase $49+. 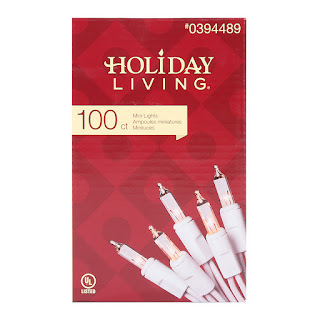 Snag these Holiday Living 100-Count 20.62-ft Constant Clear White Mini Plug-in Indoor/Outdoor Christmas String Lights for only $0.56 (Retail $2.28)! Shop the whole sale HERE!